Why haven’t you been to Finland yet? You’re obsessed with Scandinavia. Iceland is one of your favorite places in the world. You’ve explored Denmark, Sweden, and Norway. For some reason—whether the pull of the other countries or its proximity to Russia—you haven’t continued farther east, though. But Helsinki has turned into a foodie city. Lapland, above the Arctic Circle, is home to ski resorts, reindeer, and, many believe, Santa Claus. While Finnish Lakeland, the largest lake district in Europe, is one of the most beautiful and tranquil spots in the world. That’s where you’re heading. 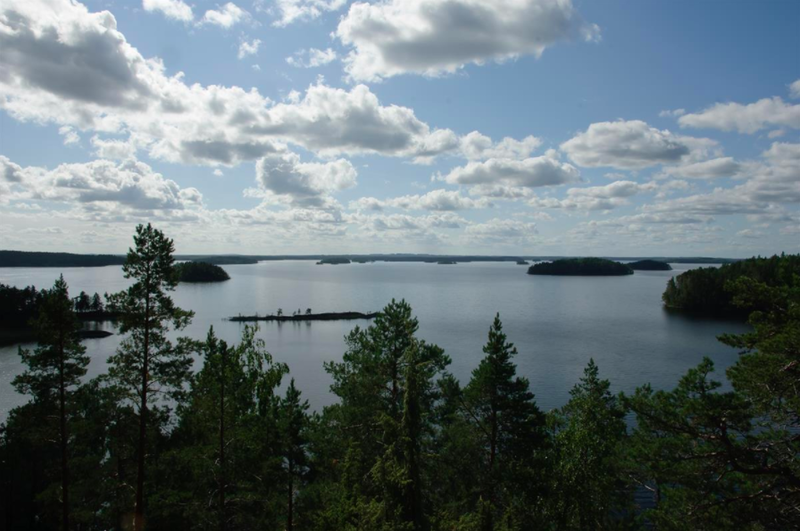 Your destination is Saimaa, the largest lake in the country and the fourth-largest freshwater lake in Europe. The lake was formed when the glaciers melted at the end of the Ice Age. A national park now protects most of the area from development. It’s spotted with green islands, rocky islets, and narrow canals. Endangered seals and Saimaa salmon call the lake home. Plus a rustic hotel and spa sit on the shoreline. Hotel & Spa Resort Järvisydän has a fascinating history. In the mid-17th century, an ice road was built to connect Sweden and Russia. Places were needed along the route where people and horses could eat and sleep. So the Heiskanen family built a lodge in 1658. It’s been added onto and, thankfully, modernized many times over. But it’s still family owned and focused on local, traditional food. You arrive at the resort after a nearly four-hour drive from Helsinki. Though the area is never overwhelmed with tourists, it’s particularly quiet this time of year, before summer and the midnight sun arrive. The resort looks just like you pictured it. The buildings are made of stone and wood. There are knotted timber beams and open fireplaces. Plus the bow of a massive boat hangs over the reception desk. The cozy rooms have soft bedding, jacuzzis, and balconies with lake views. While stand-alone villas and cottages offer extra space for families and larger groups. There’s plenty to keep you occupied at the resort. You can compare the wood stove sauna, the smoke sauna, and the steam sauna at the spa. There’s an outdoor hot tub and, in the winter, a hole in the lake’s ice for a refreshing dip when you finish. Facials, warm-stone massages, and yoga are offered, as well. Gear—from stand-up paddleboards and kayaks to bikes and fishing rods—is available for almost every outdoor activity you can imagine. You’ll only see white-backed woodpeckers on the surrounding hiking trails. Plus there’s a bar that serves beer and cider, the largest wine cellar in the area, and two restaurants that serve lake fish and local game. It feels like a luxurious summer camp. Everything at the resort can wait, though. The first thing you want to do is take a boat ride on the lake. You’ll search for osprey nests, spot Saimaa ringed seals laying on rocks, and stop on Kaarnetsaari Island for coffee and snacks. 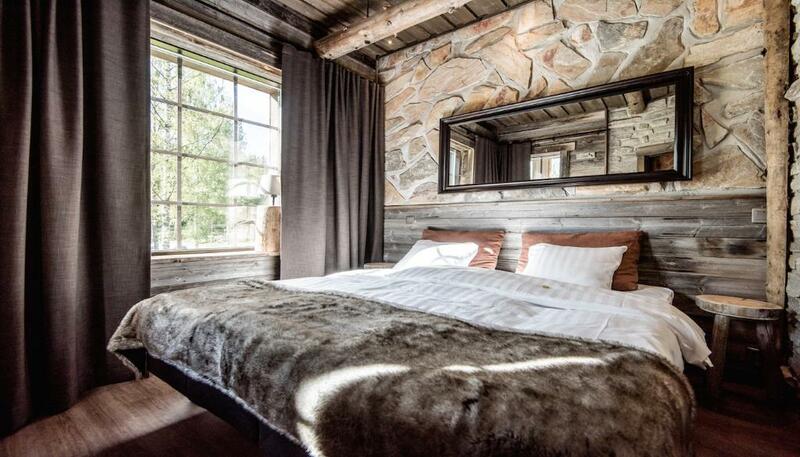 But, most importantly, you’ll finally get to take in Finland’s breathtaking landscape. Very nice to read that You did find Rantasalmi. It belongs to Lakeland like Mikkeli, Lappeenranta, Joensuu and Savonlinna. Thank You for this post.